Jay is a Senior Accountant at OC Partners. 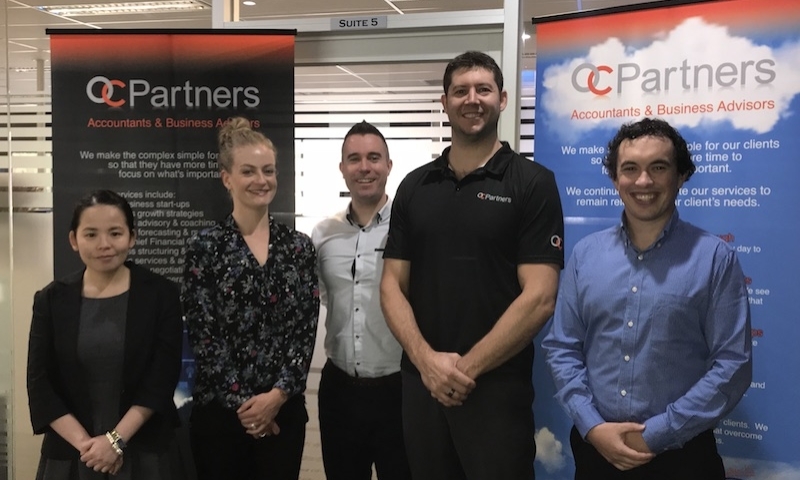 OC Partners are a growing accounting and business advisory services firm located in Lilydale – the doorstep to the Yarra Valley. OC Partners moved their entire business to the cloud in 2015 and haven’t looked back since. They are now Xero Gold Partners. What has Xero Projects done for you and your clients? Xero Projects fills the gap between Xero’s core financial accounting functions and a comprehensive end-to-end job management solution. There are a number of powerful applications in the app marketplace, and often small business owners can be overwhelmed by the choice. They may be reluctant to make the initial investment of time and money that’s needed to get the right solution. They want the data, but don’t yet feel they’re at a scale to be able to maximise the full potential of the features within those products. The perceived complexity and cost can also be a barrier to entry. That’s where Xero Projects comes in. It gives those businesses a low-cost solution that’s easy to implement, easy to use, and it allows them to start capturing the critical data. Before implementing Xero Projects, what software did these clients use? For many clients, nothing. Small business owners are notorious for keeping business-critical information in their heads. It’s not intentional – they just feel so time poor that they don’t invest enough time into refining their business processes. How many times in practice have we all heard, “I’ve been meaning to do that”. We see whiteboards, calendars, and so on. While these are great for tracking what needs to be done, they provide nothing in the way of financial information. We make sure business owners understand the importance of capturing their project data in a simple platform, so that it’s easily shared with their advisers. Sometimes we’ll get spreadsheets or manual calculations of job profitability, but they’re not live and are rarely accurate. Reports are only as good as the data you capture. With job costing, it’s often the smaller items going unnoticed that eat away at the profit margin. Clients who convert to Xero from other software platforms may have been sporadically using some form of job tracking in the past, but rarely to its full potential. And even if it data is being captured, often they don’t know how to report on it anyway. So how have you implemented Xero Projects for them? As part of our education process we really emphasise the importance of job profitability reporting for every business. We explain how reviewing the financial result of every completed project can help better understand which activities are most profitable and where costs blow out. It’s critical knowledge that can have a positive, and lasting impact on future quotes and overall business performance. This is especially important for businesses in the construction, consulting and trade sectors. For those businesses who only need a simple reporting solution, or are reluctant to implement a full end-to-end job management solution, we’ll recommend Xero Projects as a cost-effective and user-friendly option. Who is Xero Projects best suited to? Projects is perfect for businesses with simple project tracking needs. Sole operators, such as young professionals, consultants, and small businesses with single crews will get the most value out of Projects. It’s great for any business that wants to capture information about job profitability, but is content in using existing platforms to manage their scheduling and deployment. What features save them time and eliminate pain points? Xero Projects integrates so seamlessly with their existing data entry processes, meaning it’s very easy for them to get going. This alleviates the stresses associated with job costing and profitability tracking. They are able to gather powerful financial information that they can use to make more effective financial decisions, and bill more accurately. We have the ability to tap into this information too, so that we can deliver real-time targeted business advice and figure out the core drivers of their financial performance. Where do you see Xero Projects going? Like any Xero product, it will only get more powerful with time. Some users will grow with the software. For others, it may serve as a stepping stone towards implementing a fully customised and comprehensive job management system. Either way, they’ll benefit from using it. And really, we’re excited to be introducing them to it. If you’d like to know more about setting up Projects for your practice, head over to the Xero Projects page. The post Filling the gap with Xero Projects appeared first on Xero Blog.